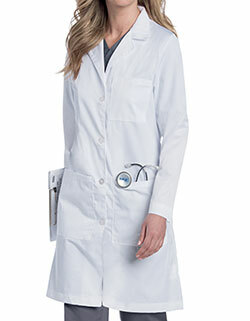 This classical yet very affordable 38.25-inch notched lapel womens lab coat from Red Kap collection is available on Just Lab Coats. 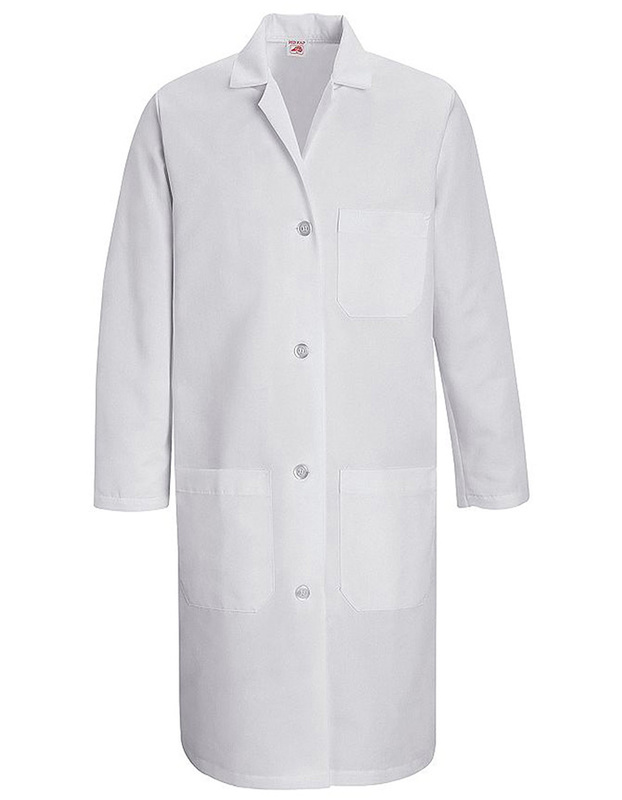 It is a poly/combed cotton lab coat in white that is designed with long set-in sleeves and four non-yellowing UV buttons in front for easy closure. 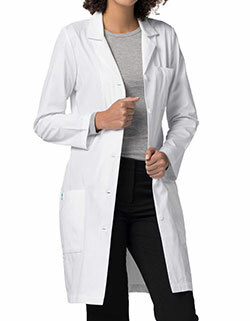 This lab coat for women also features a pre-cure durable press finish and three functional pockets where you can keep all of your items handy. Moreover, it has sewn-on back belt for a more classic look, back pleats for extra styling, and side vents for ease of movement.